The Supreme Court has observed that when a large number of posts are lying vacant and selection process has been followed, then the employer must satisfy the court as to why it did not resort to and appoint the selected candidates, even if they are from the replacement panel. 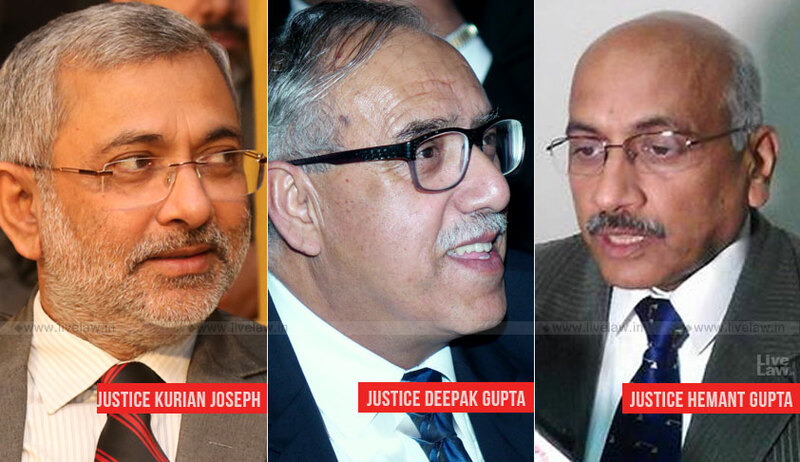 A three-judge bench comprising Justice Kurian Joseph, Justice Deepak Gupta and Justice Hemant Gupta was considering appeals (Dinesh Kumar Kashyap vs. South East Central Railway) filed by candidates who were not appointed despite they being in the select list (replacement panel) published by South East Central Railway. The Central Administrative Tribunal and the high court had rejected their pleas. The majority in the bench, Justice Kurian Joseph and Justice Deepak Gupta, observed that justification for not filling up posts must be reasonable and should not be an arbitrary, capricious or whimsical exercise of the discretion vested in the state. The bench further observed that when the employer is the state, it is bound to act according to Article 14 of the Constitution and it cannot without any rhyme or reason decide not to fill up the posts. It must give some plausible reason for not filling up the posts. Examining the factual aspects, the bench allowed the appeals and held that the state failed to give any cogent reason to justify its action of not calling for candidates from the replacement list of extra 20 per cent candidates. It also directed the state to appoint eligible appellants within a period of 3 months. The judge observed that these candidates at best can be said to be the candidates in the waiting list of the candidates to be called for appointment if the selected candidates do not join for one or the other reason. Referring to various decisions, the judge said that the state has a right not to appoint a candidate even if his name appears in the merit list.